Combo includes the Wicked Tough Hand Saw and Wicked Tough Tree pack. Saw features rugged cast aluminum construction and high carbon steel blade. Tree pack made from heavy duty canvas with neoprene pocket for additional storage. Holds one Wicked Tough Hand Saw and a bow hanger or hoist rope. Can also be used as a scabbard for long trimming jobs. Combo pack. Wicked Tough Hand Saw. Wicked Tough Tree Pack. Rugged cast aluminum construction. High carbon steel blade. 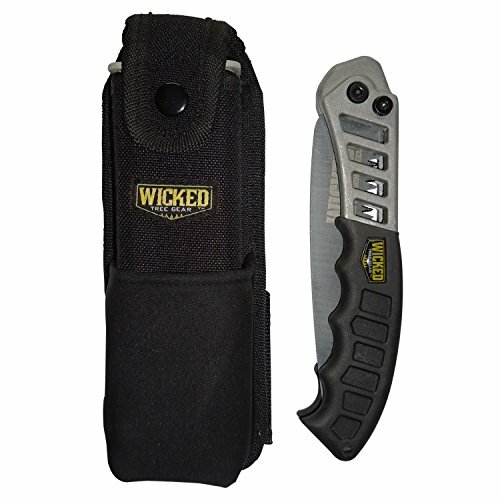 If you have any questions about this product by Wicked, contact us by completing and submitting the form below. If you are looking for a specif part number, please include it with your message.